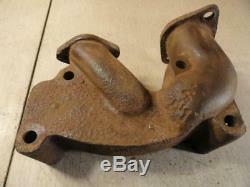 John Deere G Johnson Cold Gas Manifold This is a vintage aftermarket gas manifold. 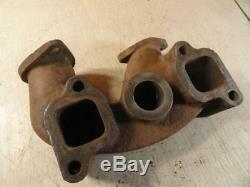 This is a Johnson Cold Gas Manifold It will fit all John Deere Gs The manifold is in useable condition. The exhaust pipe flange is good and the ears are not broken. The gasket surfaces are fair and will need some more clean up. 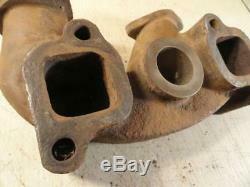 The manifold is very solid, but does show some external rust pitting. Please look at the pictures closely. 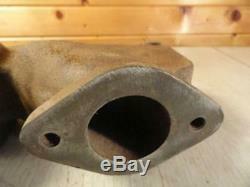 John Deere G Johnson Cold Gas Manifold. 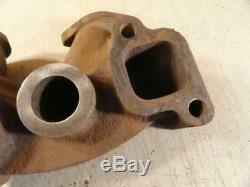 This is a vintage aftermarket gas manifold. 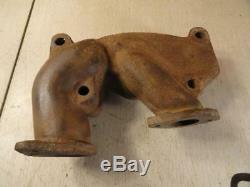 This is a Johnson Cold Gas Manifold. It will fit all John Deere Gs. 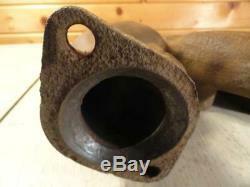 The manifold is in useable condition. Parts Inquiries and General Questions Welcome!! Specializing in John Deere Two-Cylinder parts, tractors, and repair MODELS A B G 50 60 70 520 530 620 630 720 730. Get Supersized Images & Free Image Hosting. Attention Sellers - Get Templates Image Hosting, Scheduling at Auctiva. The item "John Deere G Johnson Cold Gas Manifold" is in sale since Wednesday, January 9, 2019. This item is in the category "Business & Industrial\Heavy Equipment, Parts & Attachments\Heavy Equipment Parts & Accessories\Antique & Vintage Equipment Parts". The seller is "greenhatpart" and is located in Niota, Illinois.